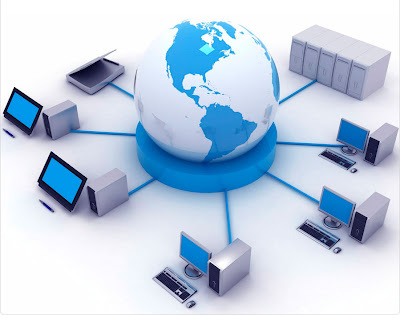 Cloud computing, where computer servers located at different places providing integration of services, is increasingly preferred by the small business in favor of good return. One of the major advantages of open-source-cloud-operating- system is an easy access to greater computing power, which otherwise would be difficult for the small business to buy and manage. Another advantage of remote computing power in form of cloud is being third party utility and its use over the internet through a web browser. This data sharing, most of the time on cloud, generally, occurs without any formal agreement or contact, thus it saves valuable time, otherwise that would have wasted in documentation and negotiation rounds. It also helps small business to enter into new areas without much investment. It is providing vast liberty to businesses to utilize IT in their favor. However, cloud computing should not be considered as a one way solution to all IT related problems. SMEs in different industries use different cloud computing models according to their business needs and local regulations. Sometime local restrictions and licensing policies may hamper the use of cloud technology in certain section of industries. Cloud computing saves SMEs from buying hardware and software licenses, and manage IT in-house. They only have to pay certain amount of fee in return of cloud based services used by them. Some of the common services used at cloud computing are, i.e., email, customer relationship management (CRM), payroll systems, online back-up, web hosting, application management, printing, invoicing apps, and collaboration tools. It is the smaller companies, that use cloud based services for their entire IT related needs. This helps them to reduce operational costs and save time as well as money on hardware management. Cloud computing is also very helpful for the startups make an entry into the market and sell their product and services as quickly as possible. Companies are even using the cloud computing for improving their e-commerce platforms and models. It is also used as media delivery infrastructure to make an entry into volume markets and new value chains. Not only this, the large enterprises also use them for their small business divisions and departments.